As a rabbi for more than twenty years, Rabbi Hillel Norry knows about prayer and religious practice. Steeped in traditional Jewish worship, Rabbi Norry has developed a philosophy of spiritual practice that draws inspiration from visual and creative arts, athletics, and other spiritual tradtions. 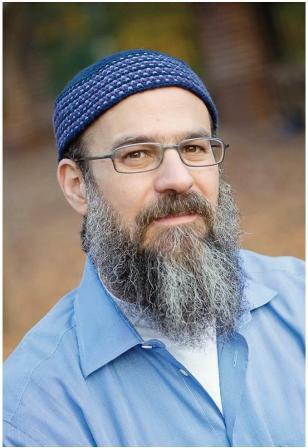 A scholar of both ancient and contemporary meditation and rituals, Rabbi Norry offers a unique blend of experiential learning for schools, synagogues, churches, and professional groups. If you want to be inspired, and want to learn how to innovatively deepen your personal or institutional practices, Rabbi Norry has a lot to offer. Not every rabbi can break boards with their bare hands, or hit the bullseye at 25 yards. But Rabbi Norry is not your typical rabbi. A black belt in Tae Kwon Do, Rabbi Norry brings the spiritual and martial arts together and can help you develop a physically meaningful spritual practice, and a spiritually rich physical practice. As a certified firearms and firearms safety instructor, Rabbi Norry is an accomplished marksman and can help you learn to shoot and safely participate in the shooting sports or self defense. Rabbi Hillel Norry is widely recognized as a scholar and dynamic motivational speaker. Able to teach on subjects as diverse as Jewish ethics, Talmud, and the Jewish roots of Christianity, Rabbi Norry can help your group, church, synagogue, youth group, or professional association recharge their mind and spirit. Rabbi Norry has special interest in building bridges between the Jewish and Christian communities and is available as a Scholar-In-Residence and a lively public speaker. Born and raised in Rochester, New York, Hillel Norry earned a degree in Near Eastern and Judaic Studies from Brandeis University in 1987, and an MA in Talmud from the Jewish Theological Seminary of America. He was ordained in 1993 and later pursued doctoral studies in Talmud while serving as an Adjunct Instructor in the Department of Professional and Pastoral Skills, founding and teaching in the Seminary’s beit midrash for rabbinical students. From 2000 – 2005, he served on the Committee on Jewish Law and Standards, a 25-member committee which is the central halachic authority that speaks for the Conservative movement and offers parameters to guide local rabbis. Rabbi Norry has served as spiritual leader at Congregation Shaare Zedek on the Upper West Side of New York City and as Senior Rabbi of Congregation Shearith Israel in Atlanta. Rabbi Norry has a long history of involvement with the Ramah camping movement, beginning as a camper at Ramah Canada, serving as scholor-in-residence at Ramah Wisconsin from 1995 – 2000, at Ramah Poconos in 2001, and at Ramah Darom in Georgia for the past five summers. A passionate teacher, Rabbi Norry takes every opportunity to teach young people and adults, whether at Shearith Israel in the experiential learning program for youth, Machaneh Shai, and regular adult learning classes; as a visiting teacher to The Epstein School; visiting religious scholar to The Lovett School; or in his own children’s classrooms at The Paideia School. He has served on the boards of The Weinstein Hospice and as a founding board member of Intown Collaborative Ministries, an interfaith organization which helps the homeless in Atlanta. Rabbi Norry was a fellow in the first cohort of Rabbis Without Borders, a group of rabbis from across denominations, brought together by the national Jewish organization, CLAL, who share a mission of offering insights of Jewish traditions and wisdom to a cross-section of the American public. To that end, Rabbi Norry has appeared on CNN, the CBS Morning Show, Fox & Friends, as well as several appearances on Atlanta Interfaith Broadcasting. An avid vegetarian chef and proponent of ethical eating, he has taught vegetarian cooking on cable television, at the 92nd Street Y in New York City, to Emory Hillel students in his own kitchen, and at Shearith Israel. In 1999, he was the rabbinical consultant for the Ed Norton and Ben Stiller film Keeping the Faith. Rabbi Norry is a black belt in Tae Kwon Do (1st Dan), and a certified firearms instructor. He advocates self-defense training and teaches about the mental and spiritual aspects of martial arts. A lifelong musician, Rabbi Norry is an accomplished guitarist and harmonica player.